The Info TransHub provides the perfect solution that allows you to copy files from PC to PC when used with Windows XP or Vista. Fantastic solution for the mobile user can transfer files from your Laptop/PC without the need of a complicated network setup. The USB ports also let you connect up to three devices (Printer, Camera, Mouse, ...) Now you can enjoy the convenience of three downstream USB ports compatible with both High-Speed USB 2.0 and USB 1.1 (low- and full-speed) devices. 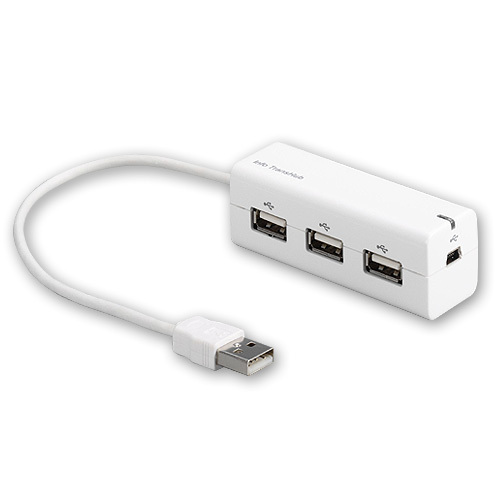 Build-in 3 USB port for Hub usage. USB to USB data link for direct data transfer between two computers. Quickly and easily exchange photos, music, movies, applications and other files between your notebook and your desktop PC. Suitable for mobile PC environment. Flash : File or data is being transferred .